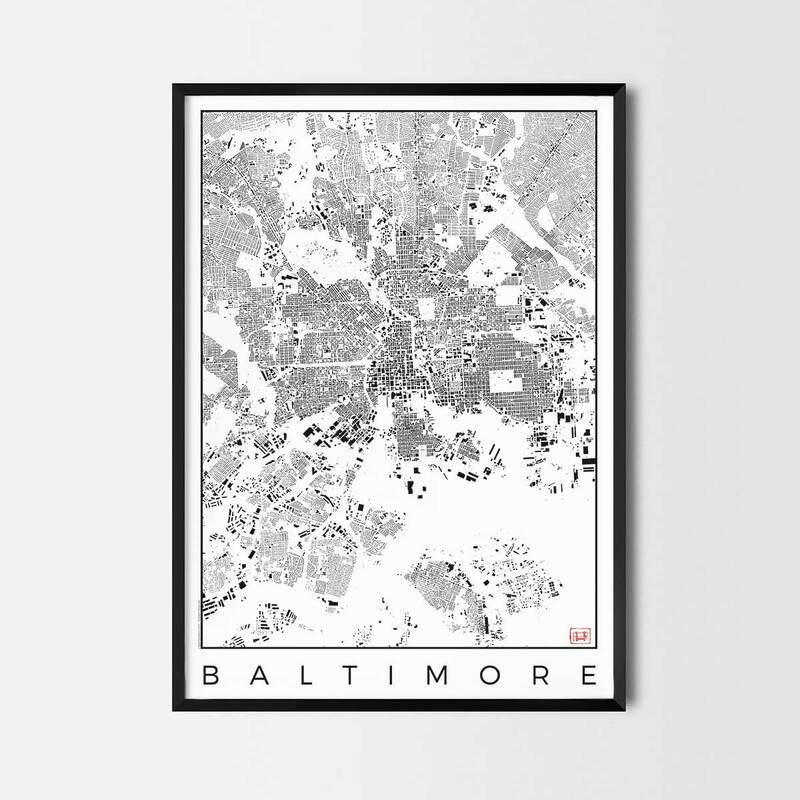 Baltimore Map Poster as schwarzplan urban plan shows only buildings. This is a monohromatic poster representing only urban structure of the city. We spend hours of our work on cartography, typography and graphic design to deliver the quality you appreciate. This home decor print gives a touch of your beloved place in the interior. Perfect for your house and office or as a gift for friend. Make a statement with your favorite city as a part of your interior. Map pattern also available on pillows, phone cases, T-Shirts and more. Check all our products and cities here.